So many amazing (and varied) books in November! When Joss Met Matt by Ellie Cahill – I love this book so much, and I will absolutely read any NA novels Ellie Cahill (Liz Czukas) publishes in the future. When Joss Met Matt is a contemp about a unique and precarious friends-with-benefits situation (sorbet, if you will), set during college and the years just after. The writing is spot-on, the steamy scenes are just the right sort of steamy, and the characters are layered and likable (Joss is delightful and a bit nutty; Matt is so sweet, but a little dense when it comes to romance). 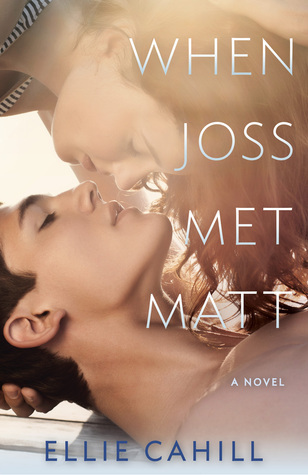 When Joss Met Matt is one of those All the Feels books (but without the crazy angst that’s become synonymous with NA), and I can’t remember the last time I rooted for a couple so enthusiastically. It’s out February, 2015, and you should DEFINITELY read it! 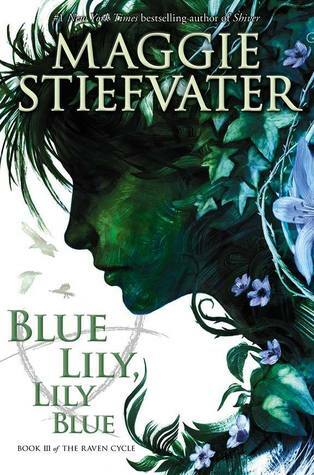 Blue Lily, Lily Blue by Maggie Stiefvater – (Minor spoiler-ish comments ahead…) Oh, Maggie. You slay me consistently, and I promise to buy and devour any and every book you write. I adored this third installment (of four) of one of my favorite YA series. I am a Gansey girl through-and-through, and I loved the more vulnerable side we saw of him this time around (his fear in the cave — my heart was pounding!). I love, too, the palpable chemistry he and Blue share. I mean, they’ve yet to so much as kiss, but still… *swoon* Just as captivating as Gansey and Blue are Adam and Ronan. Their bond (for lack of a better word at this point) is enrapturing (the hand cream — good Lord!). And then there’s Maggie’s Stiefvater’s prose, which is gorgeous and evocative and oh-so-enviable. It’s been a long time since I’ve read a book this beautifully penned. Incase my fan-girling hasn’t made my feelings clear, BL,LB is amazing and so is its series. 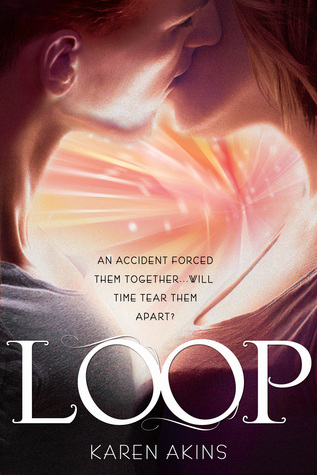 Loop by Karen Akins – Aah! This is a fun, twisty book, and an amazingly unique spin on time travel. Karen Akins’s debut is pretty much a study in how to pull off a feisty, genuinely amusing YA voice. Traveling through time in Bree’s head was a treat, and getting to know irresistibly sweet love interest Finn wasn’t so bad either. I adored the way their interactions played out (thanks to time travel, there’s narrator Bree and future Bree and, well, things can get a little nutty in the romance department when you’re not sure what your future self has done with the boy who claims to have a relationship with you). Needless to say, I found myself laughing out loud more than once. My only issue with Loop? Its crazy cliffhanger ending! I don’t want to have to wait for more Bree and Finn! 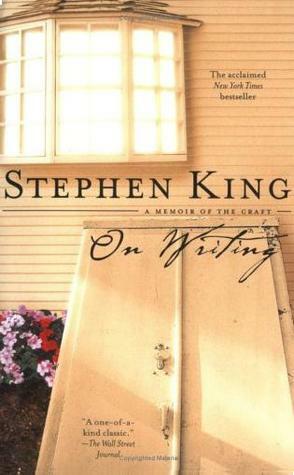 On Writing by Stephen King – How have I never read this? I loved it, as many told me I would. On Writing is (obviously) about the craft of writing, but it begins with a brief summary of Stephen King’s defining life moments, which were fascinating. Still, it was the sections on writing (see what I did there?) that captivated me most. King’s advice is so candid and forthright, presented with a touch of humor and plenty of anecdotal evidence, including some self-depreciating examples from his own work. The man is so clever and so prolific, and his suggestions are so smartly presented. This one’s a book I’ll reread from time to time when inspiration is waning. 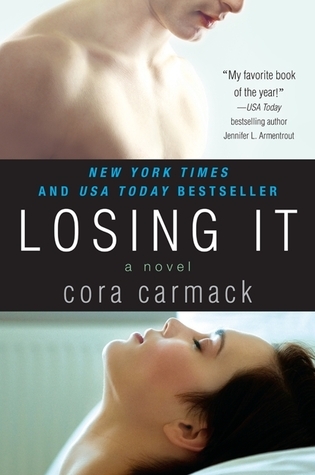 Losing It by Cora Carmack – Though many, many friends have recommended this author to me, I finally picked up this book because of an odd reverse blurb situation. Its author blurbed When Joss Met Matt (see above) and I loved that book so much, I figured it’d be likely that I’d enjoy the blurber’s writing as well. (Does any of that make sense? I hope so…) Anyway, Losing It was full of fun voice-y bits and some almost slap-stick situations that totally made me laugh. It’s a book that deals with college theatre, which is a world I know very little about, so it certainly held my attention. My only quibble has to do with the romance, which just didn’t hit me in the feels the way other NAs have. Still, I’ve heard that Cora Carmack’s All Lined Up is excellent, and I look forward to checking it out. VIP by Riley Edgewood – How I adore this first act in Riley Edgewood’s three-act debut serial, Rock & Release. I’ve read it twice, once as a beta, and once as a fan. VIP is definitely the steamy (sometimes literally!) sort of book NA is known for, but more than that, it’s a gorgeous story. Riley has this lovely way with words that gets under my skin and stays with me. Even her sexiest scenes are written with elegance and nuance, and they read almost like poetry. MC Cassidy is such a fun heroine to get to know. She’s not perfect, but she has the *best* heart, and she’s funny in this endearingly self-depreciating way — so easy to root for. And then there’s Gage, who is one of the most desirable NA guys out there. He’s hot (obviously — look at that cover), and he’s a musician, and he’s goes after what he wants. But he’s also sweet and attentive and truly caring, which makes him impossible not to love. If you’re looking for a read that’s full of emotion and seduction and beautiful, beautiful words, I highly recommend Riley’s VIP. 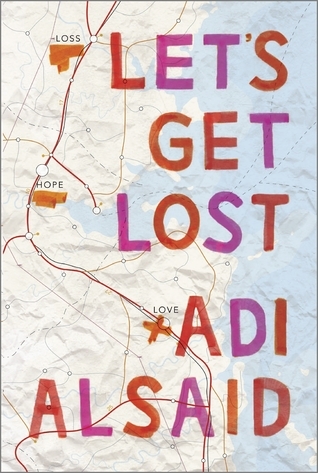 Let’s Get Lost by Adi Alsaid – All the stars for this book! I finished it the other night and I’m still thinking about, and still smiling from the sheer joy of its reading experience. Let’s Get Lost is a collection of five short stories that have Leila, a girl who’s on an answers-seeking road trip to Alaska, in common. Though we only get to spend a short time with each of the characters (save Leila), I grew to know them all so well. As soon as I pegged one as a favorite, his/her story would conclude and I’d get to begin a whole new adventure with another charming protagonist. Though I loved each character and felt invested in each story, Sonia’s was my absolute favorite because… romance and humor and winsome boy. ❤ Along with Let’s Get Lost‘s characters, I adored Adi Alsaid’s whimsical 3rd-person writing style, and his descriptions of the varied settings. This whole book feels like a John Hughes movie, and I’m a huge fan. So, what’s the best book you read in November? I’ll have to look into When Joss Met Matt; need to start The Raven Cycle; interested in VIP; so glad you enjoyed LGL. I haven’t read it, but it sounds good. Favourite book in November? The Last Leaves Falling, which releases next year. It’s amazing and everyone needs to read it! I haven’t heard of THE LAST LEAVES FALLING, Rebecca, but I’m off to look it up now… Thanks for the rec! i have heard so many good things about LOSING IT I really must get to it soon. I have been saving BLUE LILY, LILY BLUE for the end of NaNo, I can’t wait to read it. I only read 2 books this month but I LOVED THE WINNER’S CURSE by Marie Rutoski.